Expression that is pronounced in bright colors. This riot of color hits you and captures all your attention. 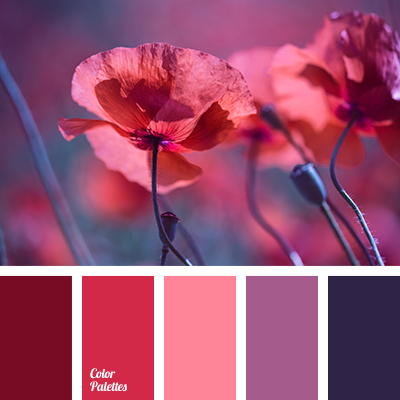 Unusual combination of purple, red and pink attracts your eyes with its contrast. Black color adds some chic to this gamma. 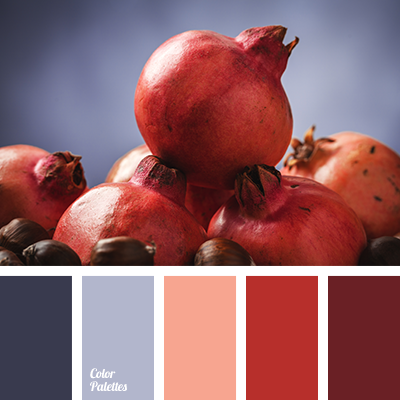 Palette can be appealing to create a stunning evening look that will attract the eye of everyone. 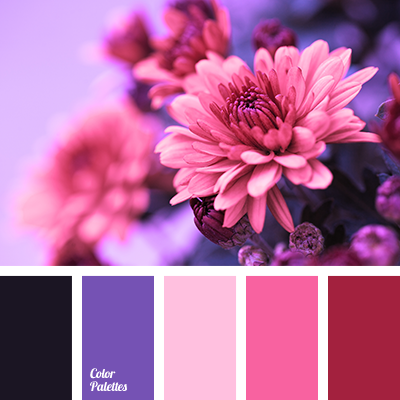 amethyst color, blue-gray color, blueberry color, color combination, color matching, color of amethyst, color of purple orchids, dark lilac color, dark pink color, dark purple color, dark violet color, lavender color, purple color, purple-pink color, shades of lilac, shades of purple, shades of violet, soft shades of purple.